The red variety comes from Greece, Synonyms are Aghiorghitico, Aghiorgitiko, Bacouri, Bakouri, Mavro Nemeas, Mavra Broph Mavraki, Mavroudi Nemeas, Mbacoura, Mbakoura, Mpakouri, Mpakouros, Nemeas Mavro and St. George's Vine. The town of Nemea in the eponymous appellation was formerly called Agios Georgis (Saint George), which gave this variety its name. 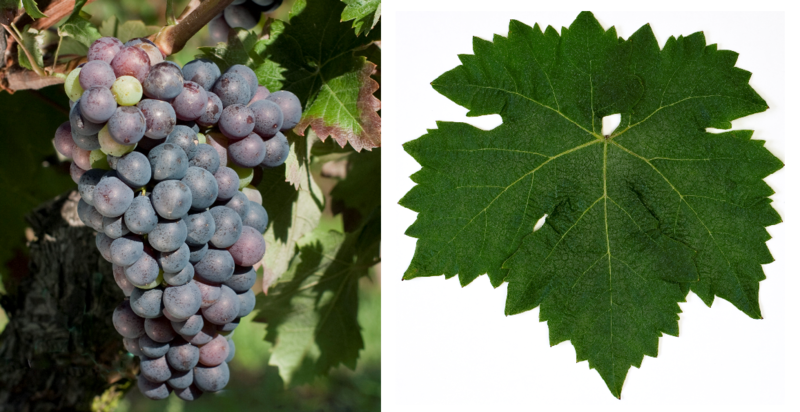 The grape variety name may not be with the similar denomination of origin Agioritikos from the Holy Mountain Athos (Peninsula Chalkidike) be confused. The exact origin is suspected in the areas Argolis and Korinthia in the Peloponnese. However, the parentage is unknown. According to a hypothesis, it is already in the Greek antiquity been grown. The late-ripening, high-yielding vine is very prone to viral diseases, as well as against both mildews and Botrytis, It produces intense red wines with velvety tannins and aromas of sour cherries and currants, as well as aging potential. These are happy to be with Cabernet Sauvignon blended. Agiorgitiko is the most common Greek red wine variety. It is mainly in the regions Attica and Peloponnese grown. In second it is in the appellation Nemea the only approved variety. Smaller quantities are also available in the regions Epirus and Macedonia, The variety occupied in 2010 a total of 2,905 hectares of vineyards with rising tendency. It occupies it in the worldwide varieties ranking the rank 148. This page was last modified at 6 January 2018 at 19:38.